If you were around in the 1970s, you might remember the Great Paperback Resurgence of the Pulp Heroes. 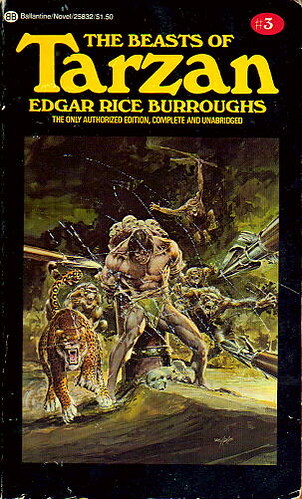 This happened early in the decade with the return of Conan and Doc Savage, followed by the Avenger, the Shadow, and then Edgar Rice Burroughs’ Tarzan novels. 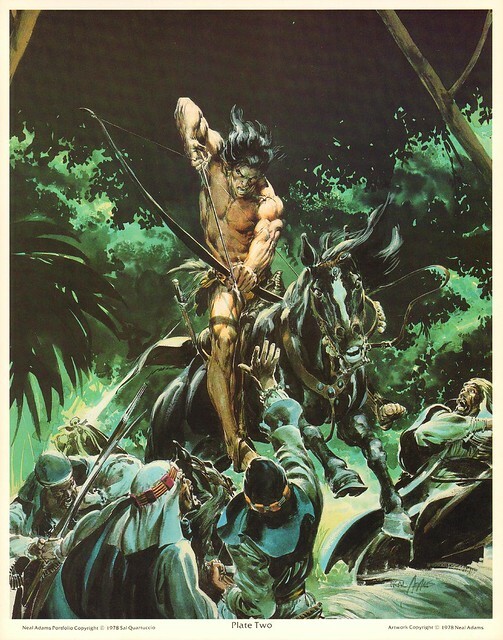 The covers to the Tarzan novels were beautifully illustrated by Neal Adams. In 1978, Sal Quartuccio released several Neal Adams portfolios containing these cover images. 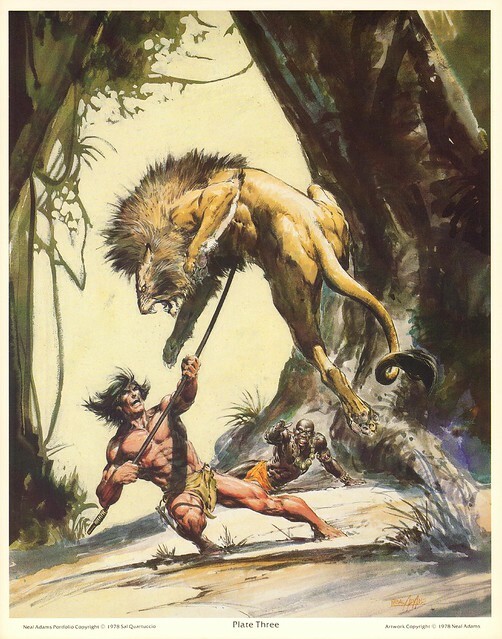 This image was used as the cover The Beasts of Tarzan, showing the Jungle Lord’s companions coming out of the jungle to rescue him. 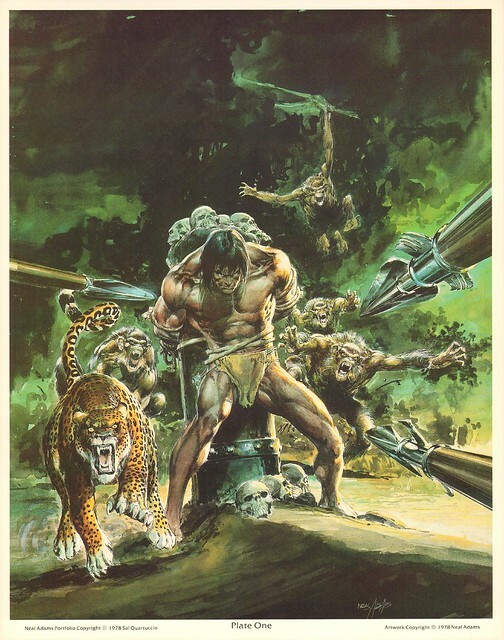 I like the look in Tarzan’s eyes—he can’t wait to unleash those beasts on his captors! The original paperback cover, courtesy of the Dark Worlds blog. I collected these paperbacks just for the covers alone, because I was such a fan of Neal Adams. Looking at these illustrations, you can get a taste of the entire mythology that Burroughs had created for Tarzan. The movie adaptations that have been make little headway beyond the origin story. Nuff Said! Link: Dark Worlds Blog – lots of Pulpy Goodness. This was my Tarzan! Thanks for the memories.